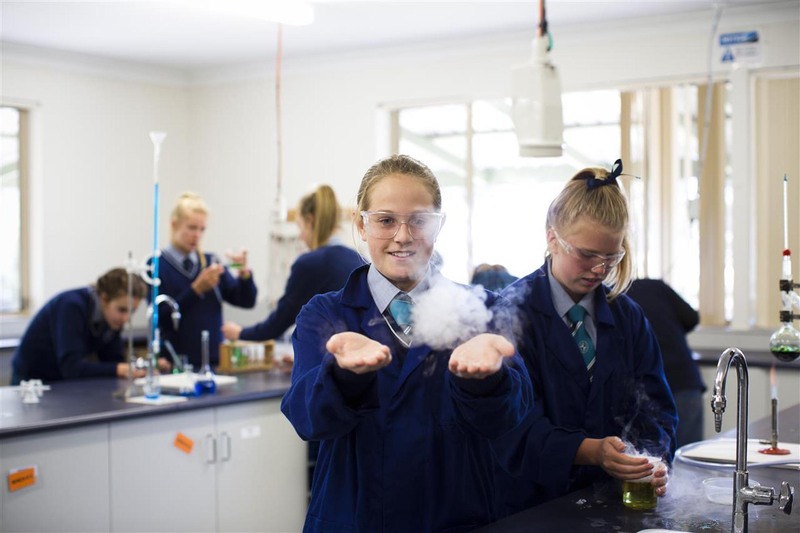 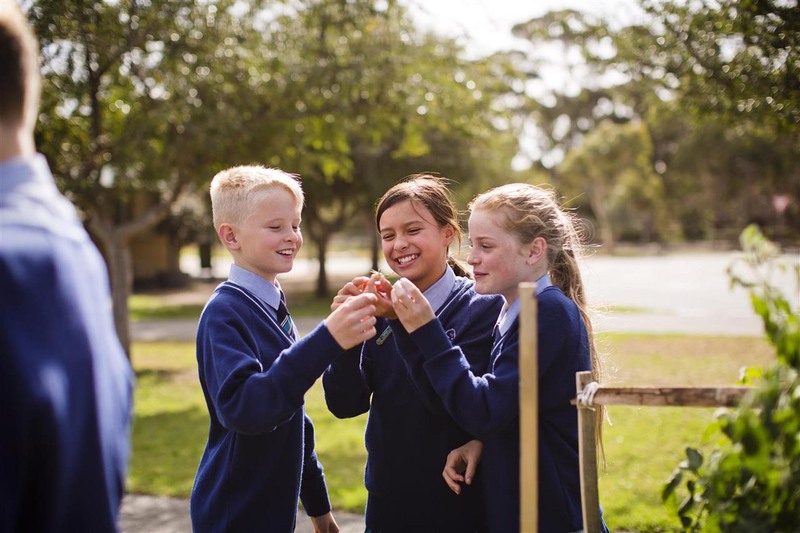 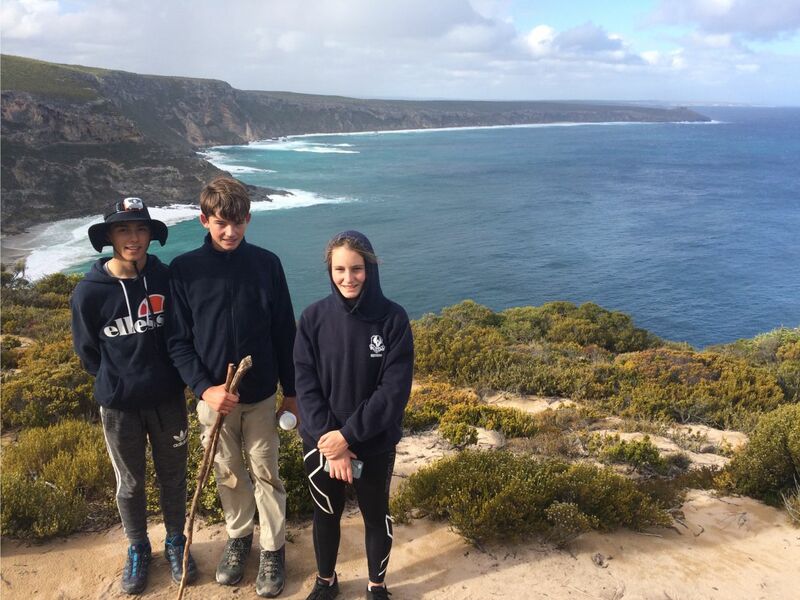 Fifteen students took on the challenge of hiking the 66 km Kangaroo Island Wilderness Trail. 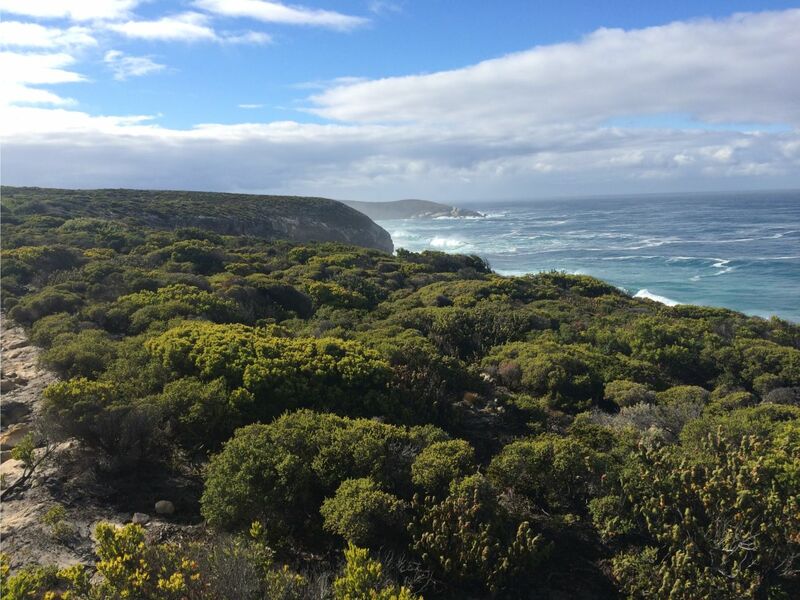 The trail is purpose built and comprised of five stages with four dedicated camping areas. Each camping area offers excellent basic facilities in a sheltered environment, with specific tent sites, basic amenities and access to fresh water. 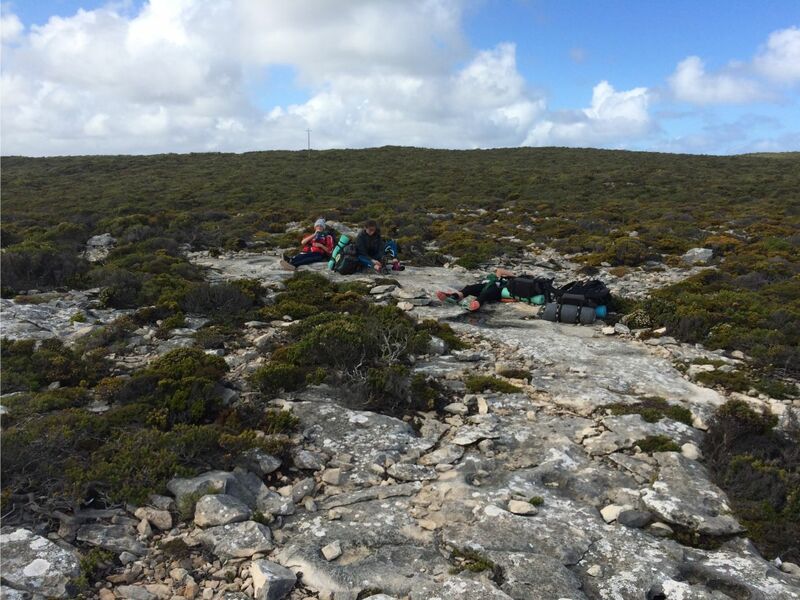 Students are required to carry all their food, sleeping equipment, clothing and water for the duration of the hike. 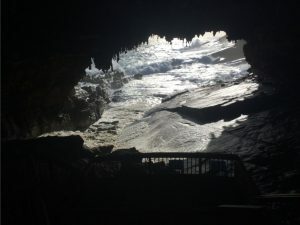 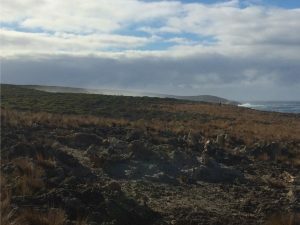 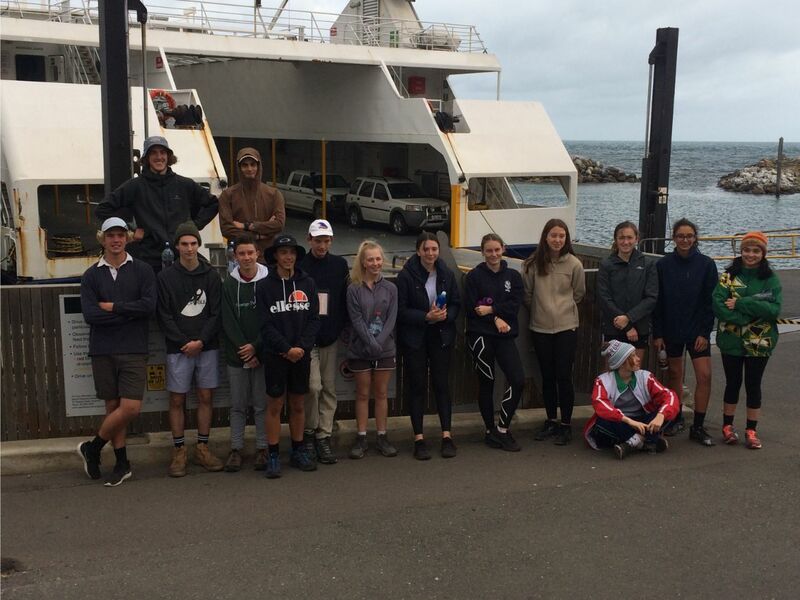 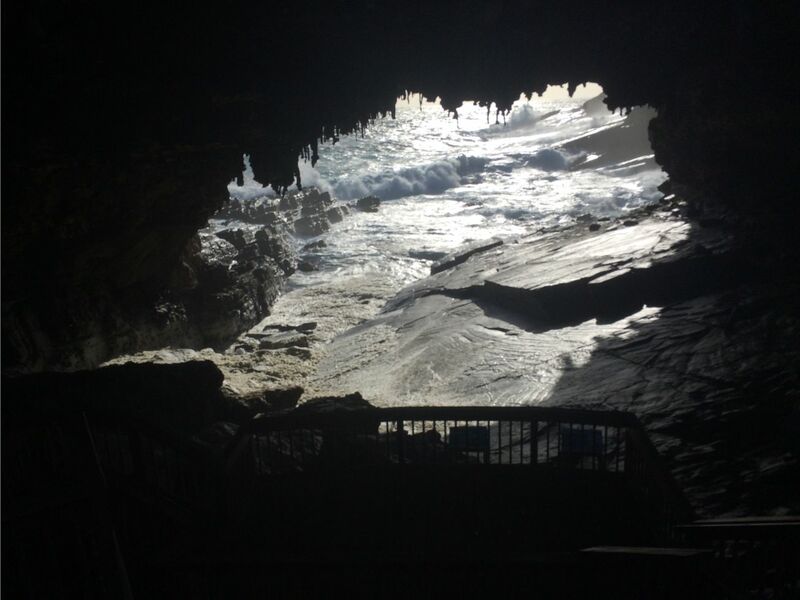 Following the early ferry from Cape Jervis to Penneshaw, a bus transfer dropped students and staff at Flinders Chase Rocky River National Park Headquarters which is located at the far western end of Kangaroo Island and is the first stage of the hike. Hiking conditions were perfect on the first afternoon with mild weather and the inspiring scenery of the central area of the national park. 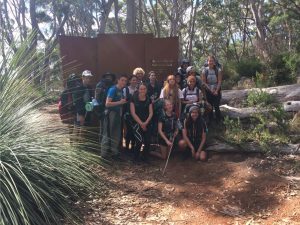 Perfect for students to adjust to the weight of their backpacks and begin to get into the rhythm of a long distance hike. 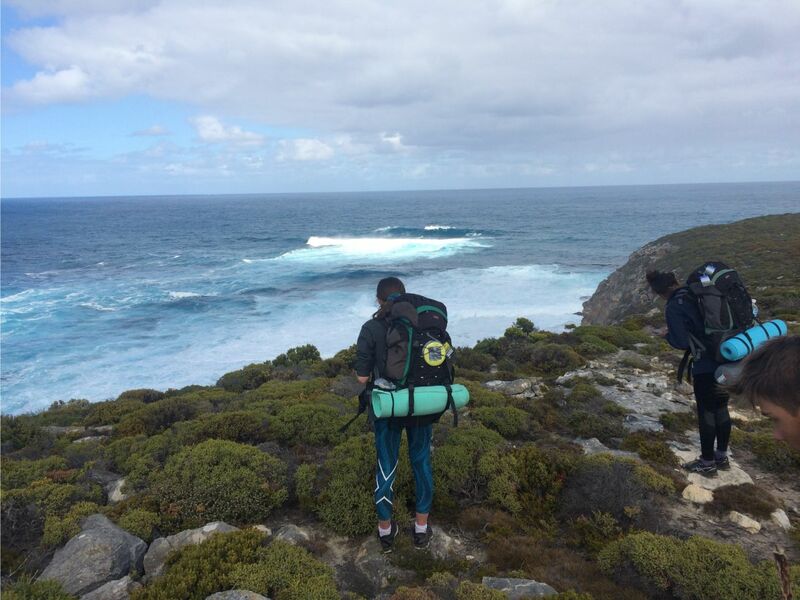 Day 2 is a stunning hike along one of South Australia’s most isolated and scenic beaches and cliff top. 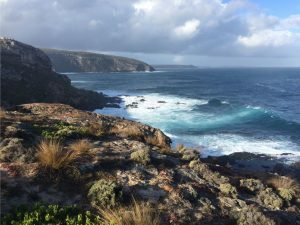 The 14 km stretch is situated on the west coast of the island and is arguably the toughest section of the hike. 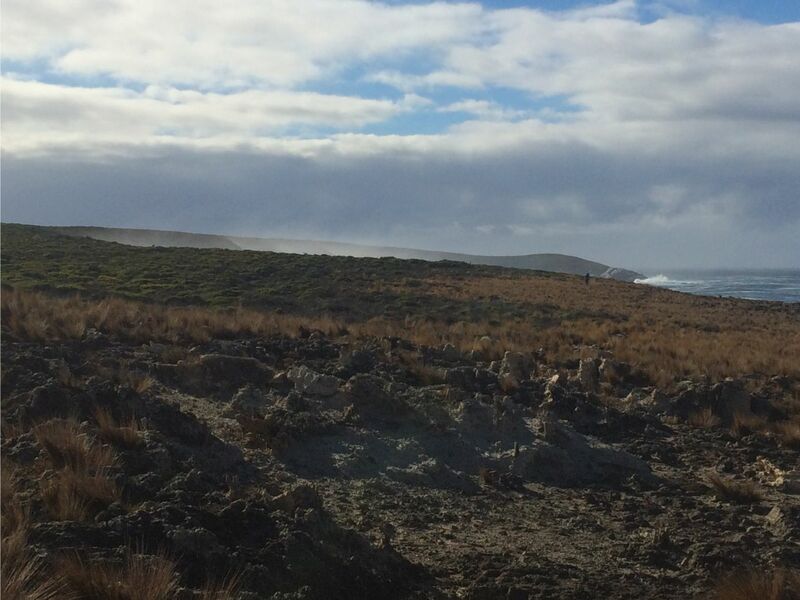 The Cape du Couedic lighthouse can be seen from 10kms away and offers a false sense of the distance needed to hike to our destination. The trail weaves its way through limestone outcrops with subtle peaks and valleys along the cliff top. On the Monday that our students were on this stretch a cold front bringing 30 to 40 knot wind and rain showers added to the feeling of isolation and remoteness of this coast. 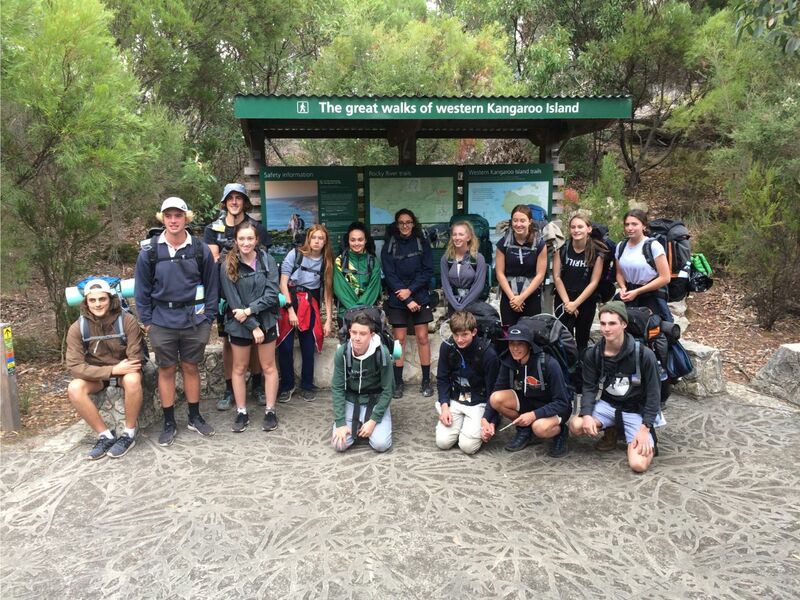 Students made this hike in good time which enabled the group to set up camp and then make the 9 km round trek to well known tourist icons of KI, Admirals Arch and Weir Cove. Over the course of the following three days students were treated to a gamut of wildlife, scenery and weather that make this hike so special. 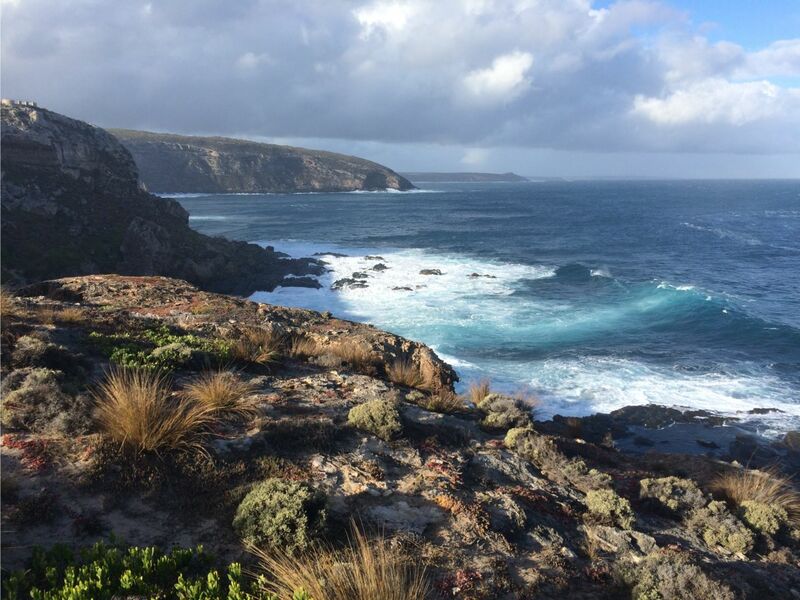 Side visits to Remarkable Rocks and Sanderson Bay are a welcome break from the trail. 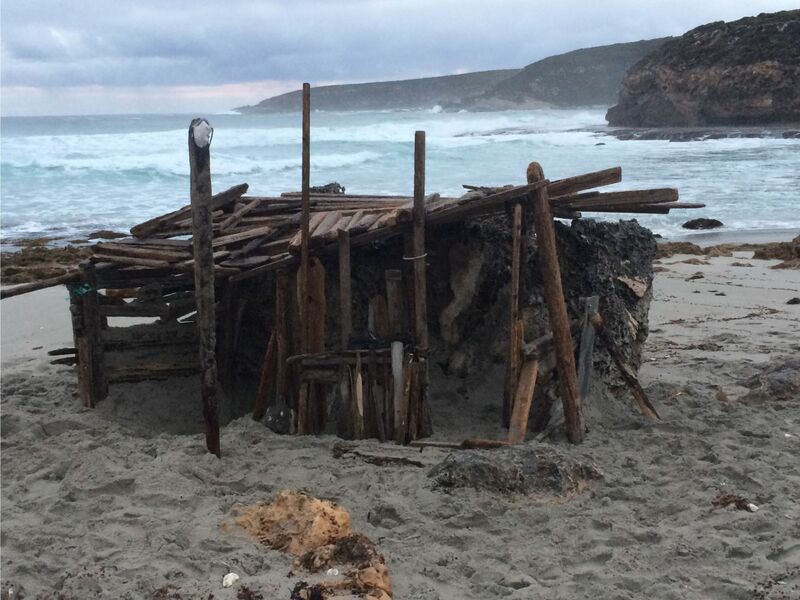 At Sanderson Bay students constructed an awesome ‘beach shack’ from the substantial amount of driftwood that was strewn across the beach. Hopefully their shack is standing for awhile and its two rooms with standing room and seating offer a welcome surprise to other hikers. 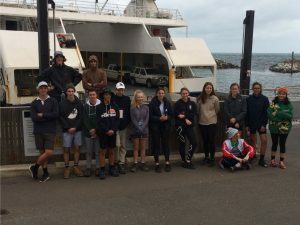 Days 3 and 4 where the track follows the south west coast of the island from Remarkable Rocks around to Hanson Bay offered the best days walking for the majority of students. 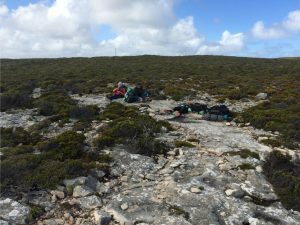 A combination of excellent weather, amazing vistas and personal adjustment to the weight of the backpack and walking speed make these days the standouts of the trip. 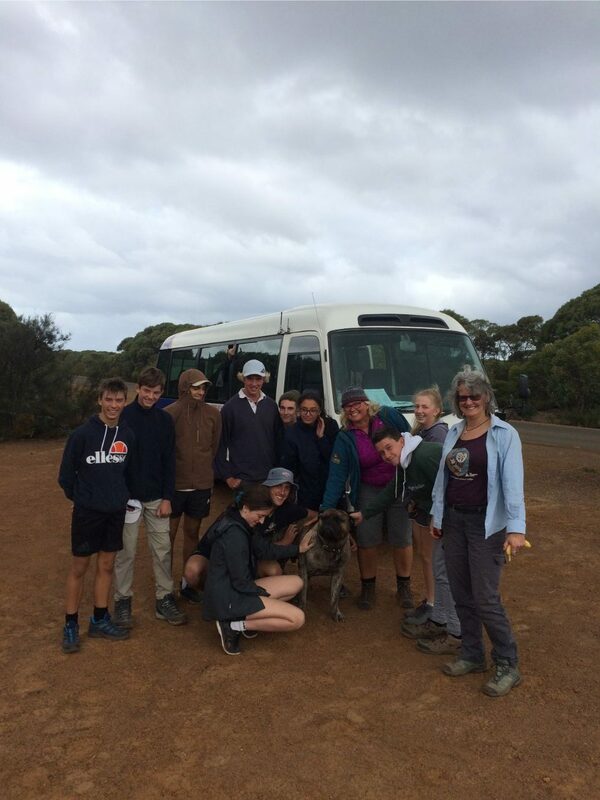 For all students there is a real sense of achievement and accomplishment at the completion of the hike at Kelly Hill Caves. 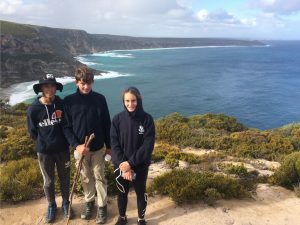 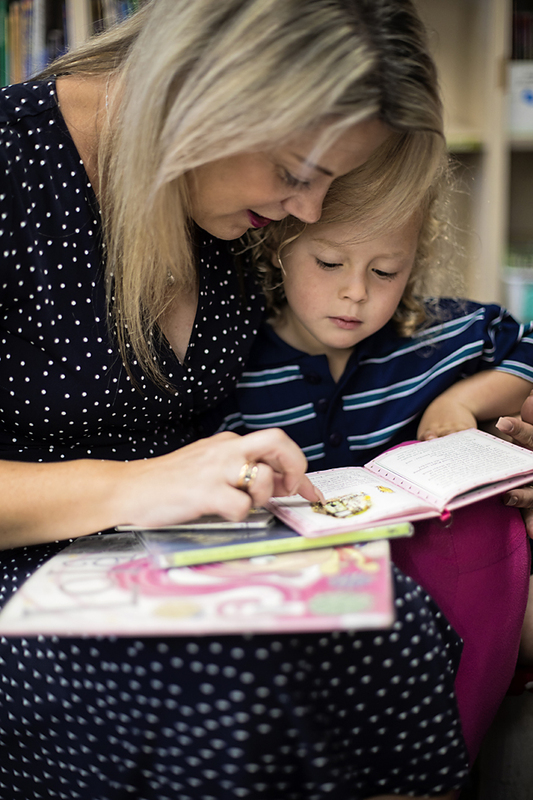 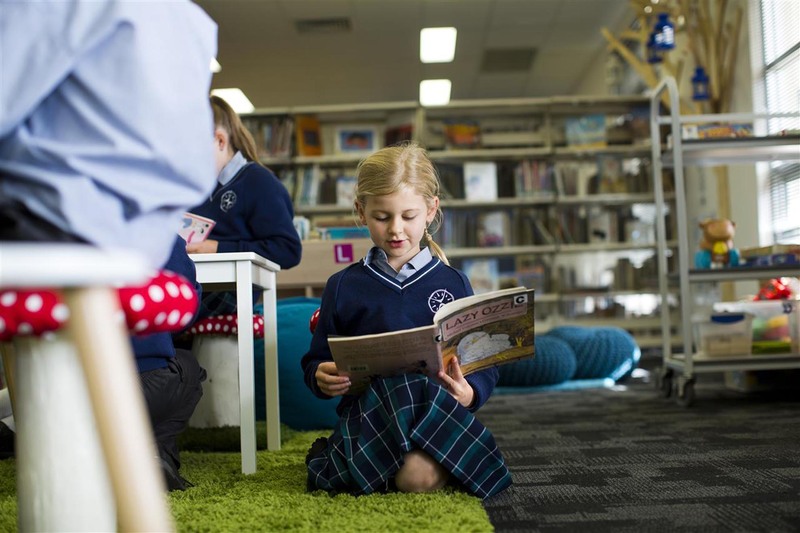 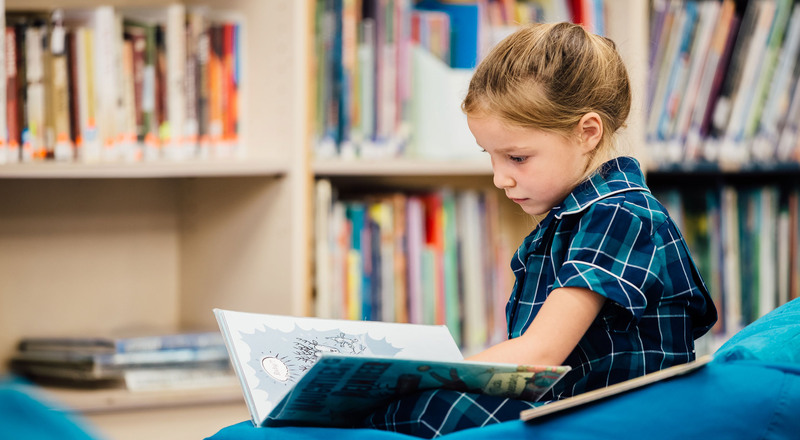 Living in the ‘outside world’ for five days and four nights simplifies life and allows for many positive character traits to be developed and put on show.